The Lonely Bull: Today is August 21, Abq Jew‘s father’s birthday. Richard W Yellin, of blessed memory, would have been 89 today. Which is the same age as, lehavdil, Great Grand Mama Sheila Kronrot, may she live here in Albuquerque to 121 (she shouldn’t go suddenly at 120). Herb Alpert is only 78. Seventy-eight is looking younger and younger these days. 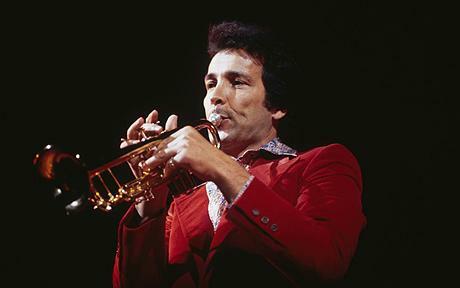 Herbert “Herb” Alpert (born March 31, 1935) is an American musician most associated with the group variously known as Herb Alpert & the Tijuana Brass, Herb Alpert’s Tijuana Brass, or TJB. Alpert was born in Los Angeles, California, the son of Tillie (née Goldberg) and Louis Alpert. His family was Jewish, and had come to the U.S. from Radomyshl (in present-day Ukraine) and Romania. His father, although a tailor by trade, was also a talented mandolin player. His mother taught violin at a young age. His older brother David was a talented young drummer. Alpert himself began trumpet lessons at the age of eight and played at dances as a teenager. During a visit to Tijuana, Mexico, Alpert happened to hear a mariachi band while attending a bullfight. Following the experience, Alpert recalled that he was inspired to find a way to express musically what he felt while watching the wild responses of the crowd, and hearing the brass musicians introducing each new event with rousing fanfare. 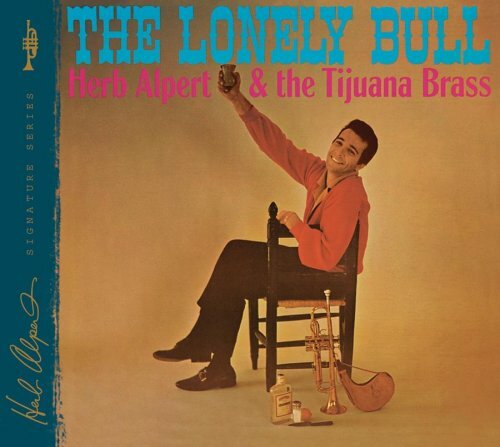 Alpert adapted the trumpet style to the tune, mixed in crowd cheers and other noises for ambiance, and renamed the song “The Lonely Bull”. [I]t caught on and became a Top Ten hit in 1962.
Who, Abq Jew hears you ask, were the members of the Tijuana Brass? John Pisano (electric guitar); Lou Pagani (piano); Nick Ceroli (drums); Pat Senatore (bass guitar); Tonni Kalash (trumpet); Herb Alpert (trumpet and vocal); and Bob Edmondson (trombone). And how about that other “mariachi” group, the Baja (“Aja”) Marimba Band? The Tijuana Brass’s success helped spawn other Latin acts, notably Julius Wechter (long-time friend of Alpert’s and the marimba player for the Brass) and the Baja Marimba Band …. Herb Alpert never had the pleasure of meeting Abq Jew‘s father (although Jack Benny did, at the Tel Aviv Hilton, in 1968 – but that’s another story). Stereo 8 was created in 1964 by a consortium led by Bill Lear of Lear Jet Corporation, along with Ampex, Ford Motor Company, General Motors, Motorola, and RCA Victor Records (RCA). And this is how Abq Jew remembers his father, Herb Alpert, and The Lonely Bull.